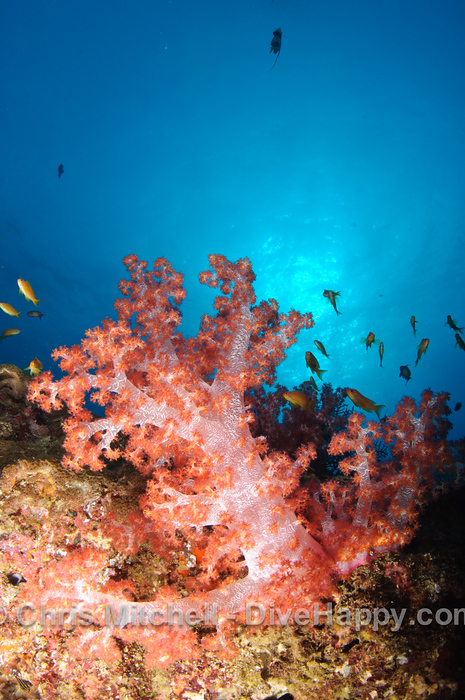 The Similan Islands have a special place in my diving history – they are where I did my first liveaboard back in 2003 and they have exercised a particular fascination on my imagination ever since. I did a great 7 day Similan liveaboard in April 2010 and decided to go on the exact same boat, the MV Flying Seahorse, and do the same trip as this year, taking in effectively a Best Of Thailand Diving itinerary. MV Flying Seahorse runs 7 day Similan liveaboard trips departing from Koh Lanta (with pickup available from Koh Phi Phi too if you need it). From Lanta the boat heads out to explore Southern Thailand’s dive gems like Hin Daeng and Koh Haa and then heads to the Similans. So within a week you see all of Thailand’s best dive sites (although Koh Tao’s Chumphon Pinnacle and Pattaya’s Hardeep wreck should arguably be on that list too – but being on Thailand’s East Coast, it’s not possible to see them too). There are only a few boats doing this 7 day itinerary and usually they break it in two between the Similans and Southern Thailand as well. If you wanted a classic 4 day Similan Liveaboard trip departing from Khao Lak, I’d recommend MV Dolphin Queen for budget diving, or Deep Andaman Queen if you have a bigger budget, and Thailand Aggressor if you want full luxury diving. Me and my friend Rob enjoyed our 7 day trip in 2010 on MV Flying Seahorse so much we wanted to do it again and Peter, the affable Austrian boat owner, gave us a good deal for this 2011 trip. However, directly after I did the 2010 Similan trip last year, I got several reports from friends working in the Similans about coral bleaching happening across the reefs. As such, when I headed out this year, I was very worried about what I was going to find. The closing of several dive sites across Thailand in early 2011 – all of which were minor sites for divers with the exception of East of Eden in the Similan Islands – was proof that the bleaching was real. The near-universal misreporting of those closures – which tried to insinuate that somehow Thailand’s main dive sites were being shut down – is typical of the trend to be overly dramatic in describing Thailand’s marine park decline. The Similans, like all of Thailand’s dive sites, have undoubtedly waxed and waned in the near decade I’ve been diving them. There are numerous external, human-made factors effecting them which unarguably must be allieviated – rising water temperatures and overfishing chief amongst them. However, it would be very unfair to say the dive sites of the Similan Islands are not worth seeing anymore because they’ve had a punishing time in the last few years. 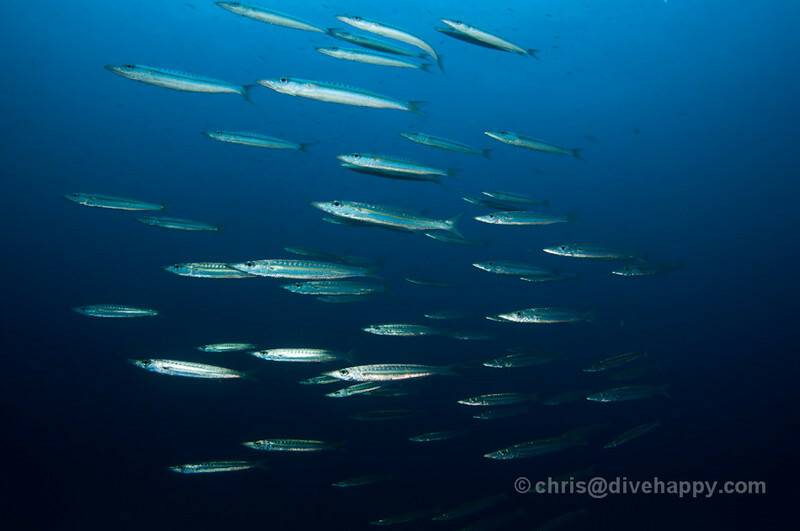 On the evidence of what I saw on this trip during May 2011, the Similans remain a spectacular dive destination, even in an off-year – and I hope my photos show a little bit of that. The coral bleaching is real, but has also started to recede, and it’s not like every dive site is now a white coral wasteland. All that said, I’m under no illusions that time is running out for the reefs in Thailand and across Asia. 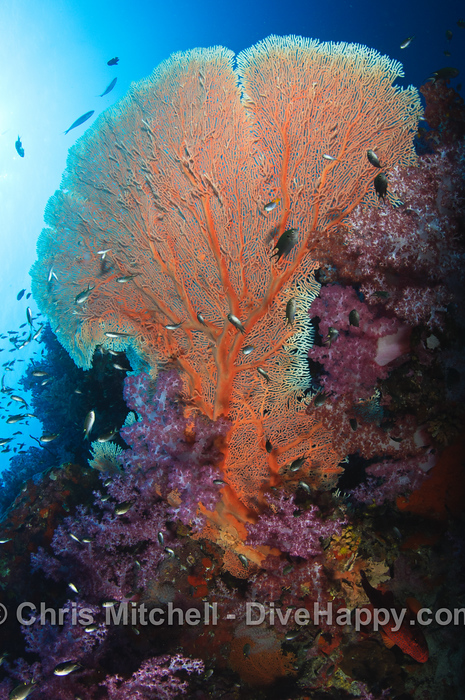 It’s quite possible this is the last decade that divers will be able to enjoy diving the Similans because by 2020 the incredible soft and hard corals and abundant fish life might truly be in terminal decline – but it’s not there yet. As such, any chance to see it before it goes should be taken. I joined the MV Flying Seahorse for the last trip of the dive season in May 2011. As mentioned previously, the trip is broken up into 2 parts – For the first two days, the boat heads out and explores the southern Thailand dive sites around Koh Lanta of Koh Haa, the deep sea pinnacles of Hin Daeng and Hin Muang (both of which are famous as manta and whale shark hotspots) and Koh Bida. Koh Haa has long been one of my favorite dive sites in Thailand, five gigantic rocks in the ocean gathered together that form a natural lagoon inside and attract all manner of marine life on the outside of their walls too. The soft corals here are beautiful. Hin Daeng is another personal favourite, a legendary hotspot for big stuff. While we saw no manta rays or whale sharks this time, there is plenty of other fish life especially yellow snappers and bright red soft corals to keep divers entertained along with great visibility. 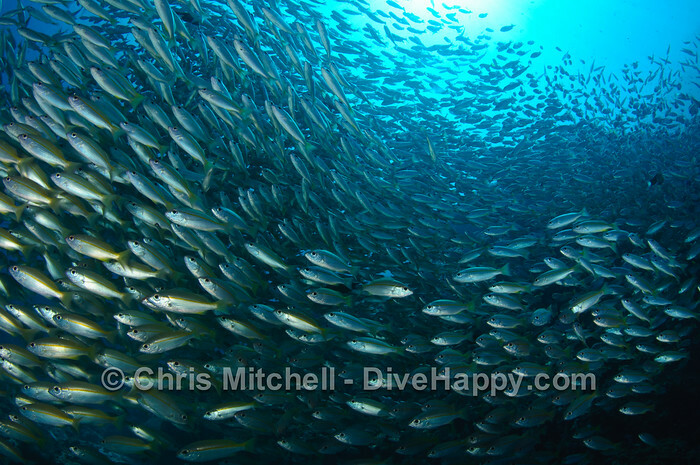 A week after we dived here, two mantas and a whale shark were spotted here on the same dive. Hin Muang is also pretty, a deeper, longer pinnacle that has numerous cracks and crevices to explore. Koh Bida is a horseshoe shaped island which provides shelter for a lot of creatures and is popular with dive boats from nearby Koh Phi Phi. The viz here is often not to great, but the mix of smaller fish life and abundant hard corals makes up for it. Then there was a quick return trip to Lanta on the afternoon of the second day to pick up more guests who have opted to just do a five day trip which goes direct to the Similans. It’s also possible just to do the first two days and get off the boat again once back in Lanta. 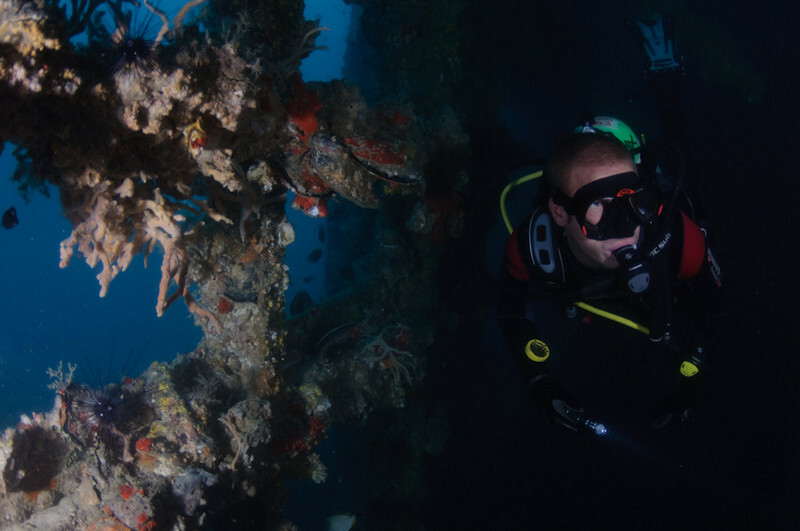 It’s nice for guests to have this flexibility, and the two day option is great for divers who have never been on a liveaboard to give it a go and see if they enjoy the experience. The boat overnights on the first and second night within the shelter of Koh Haa’s lagoon and provides for a nice night dive there on the first night. Day 3 sees the crossing to the Similan Islands, with morning dives at Koh Bida and Koh Doc Mai on the way before an afternoon of cruising and a night dive within the Similan Marine Park at Anita’s Reef. Koh Doc Mai is nothing particularly special, but makes a pleasant wall dive en route to the Similans. 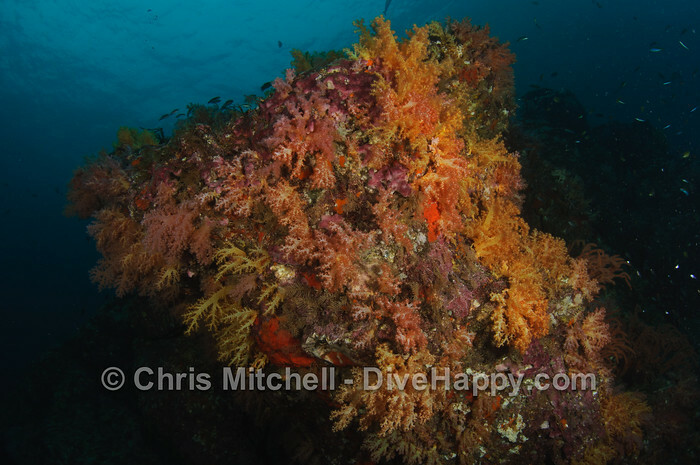 I skipped the night dive at Anita’s Reef because I was hoping to dive it in the day time the following day as it has a fantastic bommie covered in a profusion of corals but unfortunately it wasn’t to be. The next day we had what at first seemed some bad news. Although our boat had got prior clearance to enter the Similan Marine Park at the beginning of May when the Park is technically closed, (and so has hardly any other dive boats around), the local marine police wouldn’t accept the clearance and wanted exorbitant per-day fees for the boat to stay within the Similan Park. Luckily we’d already dived the famous Elephant Head Rock site before encountering the marine park police – it’s a dramatic site made up of massive underwater boulders resting together which provides many swimthroughs and at deeper depths some beautiful coral. 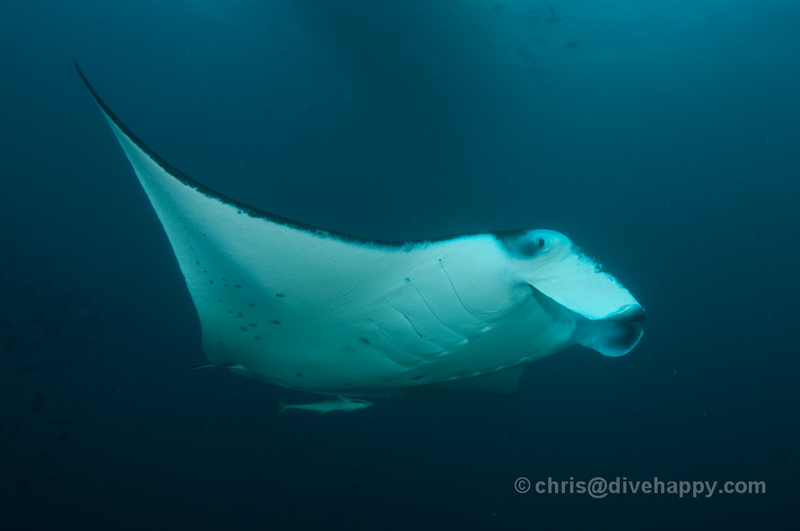 Having negotiated to stay for one day in the Park, we headed to Koh Bon in search of manta rays, as this is the one dive site where they turn up more regularly than anywhere else. We were rewarded for our patient waiting in the water with a brief but unmistakable sighting of a big manta ray cruising in from the blue to Koh Bon’s reef. No photo unfortunately – I couldn’t get near enough. On Day 5 we arrived at Richelieu Rock, widely regarded as Thailand’s best dive site, and spend all day there with a magical four dives. Richelieu is not within the Similans Marine Park boundaries and so we could stay there as long as we liked – and given it’s such a great dive site and we had perfect calm weather conditions, having to exit the park early actually worked out for the best for us. 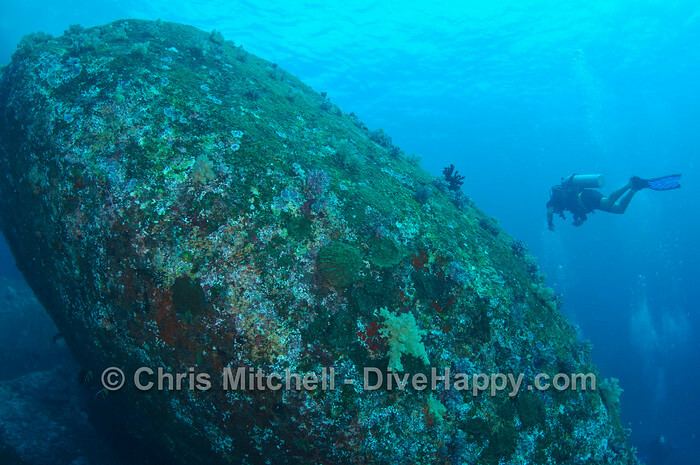 With the excellent weather conditions we overnighted at Richelieu and dived there again in the morning before heading to Boonsung Wreck near the coast. I hadn’t dived this wreck since before the tsunami in 2004 – back then it was a magnet for fish but I’d heard the tsunami had literally ripped the wreck apart. This turned out to be true but the fish still seemed to call the wreck home as there was an amazing amount of different big schools all weaving in and out amongst each other, making the wreck difficult to see at some points. After the elation of Boonsung we had a long cruise during the afternoon and evening back to Phuket, where we picked up some supplies and then overnighted. The following morning we headed to the King Cruiser wreck, but by this point the weather had turned against us with the sky very dark and the seas very rough. Viz on the wreck was poor with strong currents, and the weather was unrelenting as we did our two final dives at the shelter of Koh Phi Phi’s Palong Wall. 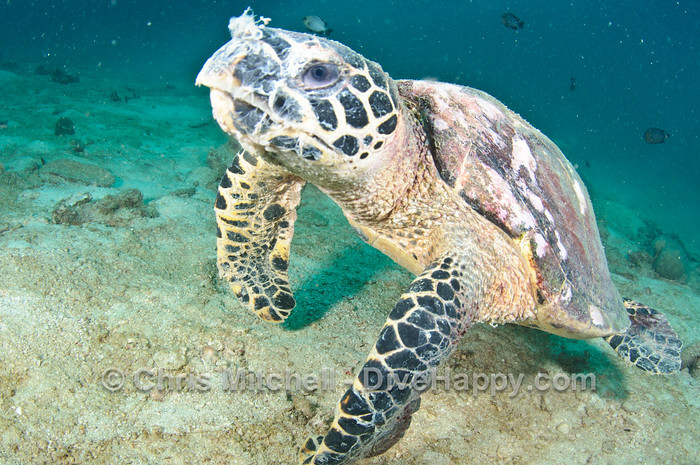 I had a memorable close up encounter with a turtle which provided a suitably fitting end to a great trip. 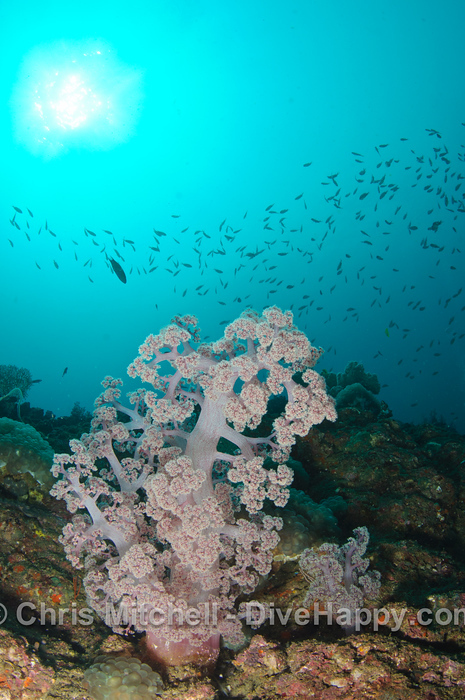 Despite all the (largely justified) concerns about the state of the reefs in the Similan Islands, there is still a lot of beauty to be seen underwater here – all the more reason for efforts to be redoubled to protect it for future generations. I’ll certainly be heading back out there again when the next dive season begins in November. Thailand is where I’ve lived on and off since 2004. 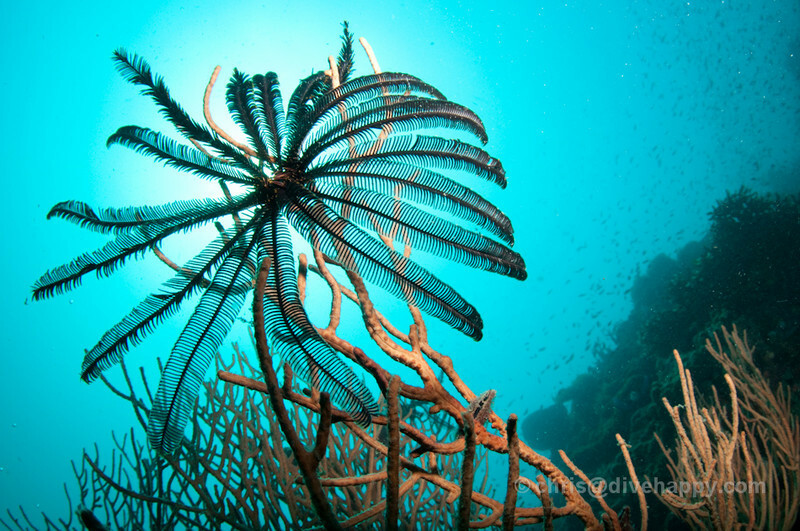 The diving here is relatively cheap and great, particularly on the west coast in the Andaman Sea. 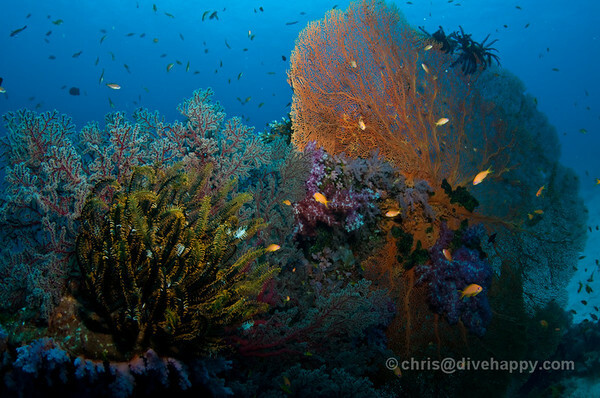 Here is a quick overview of diving in Thailand to help you decide where to visit. Best Places To Dive in Thailand: The Similan Islands and Southern Thailand’s dive sites are my personal favourites. The links go to articles and trip reports I’ve written about each area. Pattaya is great if you are into wrecks. Koh Tao is great for learning to dive, a big backpacker party scene and also a growing tech diving industry. 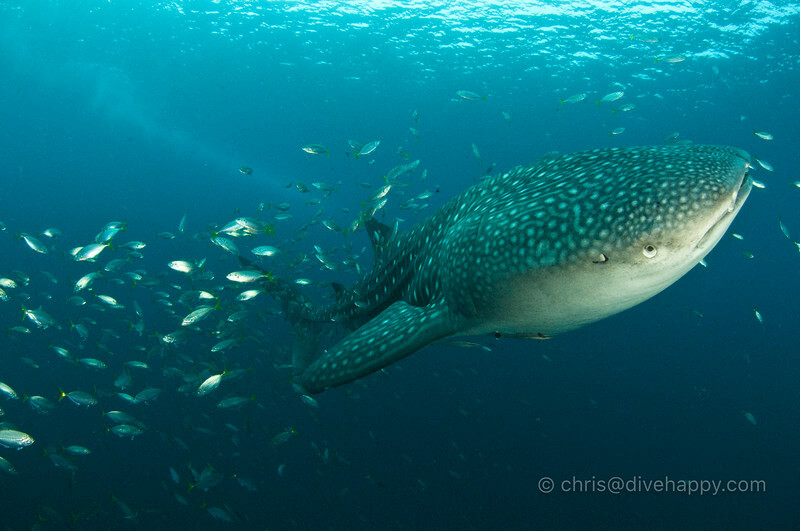 Thailand’s Best Dive Sites is a useful introduction and also Whale Sharks In Thailand: Where To See Them. Similan Islands – Liveaboard or daily speedboat trip from Phuket or Khao Lak. Southern Thailand – Daytrips or Liveaboard from Phuket, Koh Phi Phi and Koh Lanta. Languages Spoken: Thai. English spoken widely at varying levels. On dive boats English is spoken widely as the dive crew are usually always Westerners.